You are thinking about becoming a home owner! The prospect of owning your own home is an exciting one. The purchasing process has its twists and turns but Curasi Realty is here to help and guide you through your home search and purchase. Buying Your First Home There are several steps to purchasing a house, whether its your first home or your next home. As you begin your journey to home ownership, it is important to become educated about the process. Keeping an open mind is also recommended because as you explore homes and neighborhoods and meet with real estate agents and home sellers, you may choose to alter your preferences and requirements. Designed to walk you through home purchasing, this first-time home buyer's guide breaks the process down into three stages: pre-purchase planning, home shopping and closing on your home. In addition, you may obtain more information by contacting a Curasi Realty real estate sales professional. Evaluate Finances: Are You Ready? Financial evaluation and preparation can streamline your house hunting process. To help you begin, here are some fundamental financial actions to take when preparing to buy a home. Preparing your Paperwork In advance, gather the financial documents you will need to secure a mortgage. This includes pay stubs, automobile and school loans, credit card records, statements from brokerages, banks and retirement accounts and income tax returns. Your mortgage lender or a Curasi Realty real estate sales professional can provide a complete list of what will be needed. Shopping for that Perfect House An open house is a good place to ask questions about the neighborhood and recent home sales. Check here for a list of upcoming open houses near you, and don't forget to let them know you are working with a Curasi Realty real estate professional. 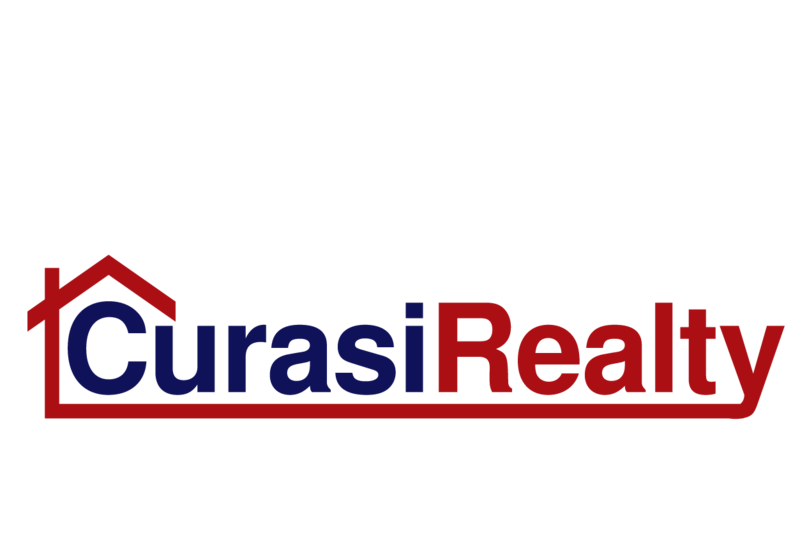 Working with a Curasi Realty real estate sales professional, your home search becomes more guided and dynamic. Our agents can save you time by focusing your search on the houses that fit your lifestyle and your budget. With their knowledge of the local neighborhoods and of real estate in general, they can share insight into the buying process, negotiating, getting to the closing table and even moving day itself. When making an offer to purchase a home, your Curasi Realty real estate agent can assist you in completing a purchase offer. The purchase offer includes the proposed price, a list of what is to be included in the sale such as appliances and fixtures, contingencies or terms the sale is dependent on including a satisfactory home inspection, secured financing, sale of buyer's current home, seller concessions including assistance with closing costs, proposed closing date, and an offer expiration date. Upon submitting your offer, the seller will review it and can accept, reject or make a counter offer. The purchase offer is not binding until both the buyer and the seller sign the agreement. Loan origination fee: covers the costs of evaluating and processing your mortgage loan. Points: the percentage of your loan amount, paid at closing. Appraisal fee: The fee for having your new home appraised may be rolled into the closing costs. The cost may vary based on the amount of your loan, and the type and use of the property (i.e. condo, rental, etc). Credit report: covers the expense of your credit history report. Interest payment: You may pay interest on your mortgage loan to cover the time between the closing date and the date your first mortgage payment period begins. It is important to note that interest on a mortgage is usually paid in arrears at the end of the time period it covers. For example: If a closing is on May 15, and your first monthly payment starts to accrue interest on June 1, an interest payment covering the period between May 15 and May 31 may be required at closing. Consider this timing when scheduling your closing. It is a fee you can reduce by closing near the mortgage due date. Escrow account fees: A trust account created by a third party to hold money. Generally, this money goes to pay property taxes and insurance. To fund the account, your monthly mortgage payments may include one-twelfth of your annual property taxes and insurance charges. The first escrow fee may be due at closing. Title search: pertains to the examination of public records to ensure that no one but the seller has a valid claim to the property. Title insurance:relates to insurance that protects the lender and buyer from losses that may result from disputes over the property's title. Typically, the buyer purchases the Lender Title Insurance. Document preparation fee: charged for the preparation of the closing documents. Underwriting Fee: covers the costs of the underwriting process, which is the analysis of the risk involved in making a mortgage loan. Count On Curasi Realty This is a great amount of information to think about and digest. It is a fact that the closing process and costs can be complex. However, rest assured your lender will provide you with a Good Faith Estimate (GFE) that lists closing items and approximate costs so that you know in advance what to expect. The details of the closing are handled by your lender and the various other professionals to help you prepare for a smooth closing. And through every step of the way, you can turn to your trusted Curasi Realty real estate sales professional for advice, information and overall guidance. We are here to make your home buying experience enjoyable and exciting.